I'm Danny Boy. No surname needed. Even though Shay Donnelly, the drummer for Rogue, is my baby brother, everyone in the whole of Dublin--hell, maybe even all of Ireland--knows me as Danny Boy. It's all I've ever been called. But Ms. Amelia Patterson, my therapist extraordinaire, thinks it's time I go back to formalities. She says it's only right now that I'm closing in on forty years of age and am trying to improve myself. I have no illusions over the ways in which I've manipulated and hurt others just to get by, but something has changed. What makes the difference this time? How do I know I won't slip back into my old ways again? That's what Ms. Patterson wants to know. So, I'll keep on with the sessions, both to please my brother, and because I'll need them more than I know. Especially once *she* enters my life and not only tests everything I've fought for, but threatens Rogue by stirring up the past. It won't be easy--my life never is--but now I've got a dog named Roscoe, a therapist named Ms. Patterson, and an unexpected, but welcome, new band of brothers backing me. All I need to do is stop looking for trouble. 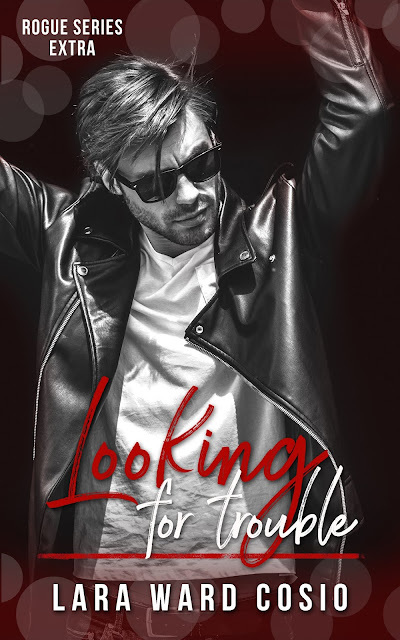 Looking For Trouble takes place in parallel with the timeline of Finding Rhythm (Rogue Series #4), so, while it can be read as a stand-alone, incidents from Finding Rhythm will be referenced. 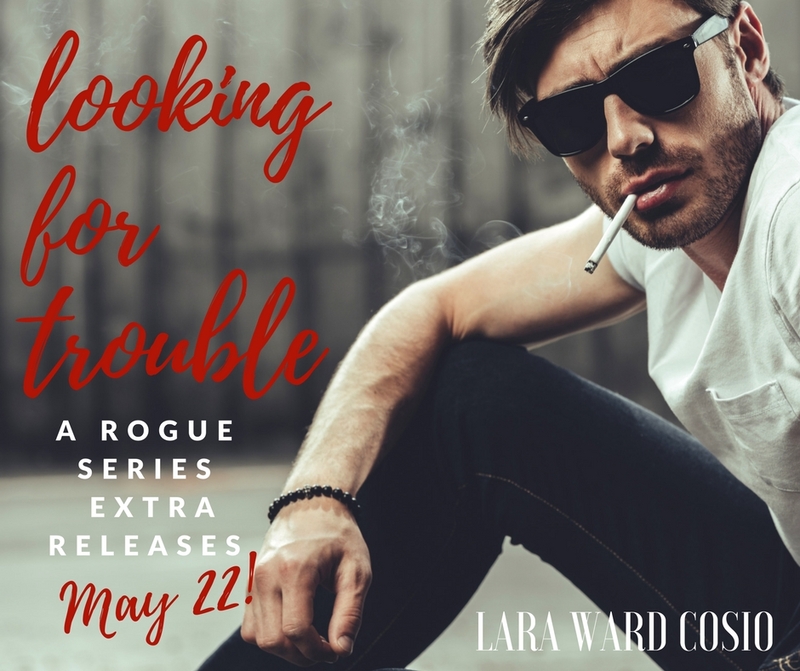 Fans of the Rogue Series will be happy to see that all the guys - Gavin, Conor, Shay, and Martin- make appearances in this book. Lara Ward Cosio is the author of the Rogue Series - books that feature complex, flawed, and ultimately redeemable rockers and bad boys, and the women they love. When not writing, Lara can be found chasing her daughters around the house or at the beach, always with music on in the background.